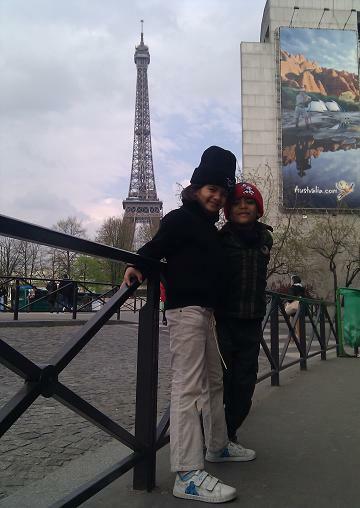 Yesterday, Anya and Kyan saw the Eiffel Tower for the first time in their lives. And, as you can easily guess, they were amazed! Yes! Kyan, Anya and myself are currently in Paris while Christina is in Washington DC. She is participating in a number of academic events in the USA and she will finish on 8 April. The kids and myself reached Paris on Sunday and, yesterday, we had to go to the US Embassy to do the necessary paperwork to get a visa for the USA as we intend to meet Christina in California at the end of her programme. As you surely know, it’s not possible to obtain a US visa in Mauritius right now and we chose Paris because it was easier for us. Yesterday, we went to the embassy at La Condorde at 8:30 and, believe it or not, by 9:15, a very nice lady told us that our visas were approved. I am therefore proud to tell you that we’ll all be in the USA very shortly to visit San Francisco, Los Angeles, Washington, New York and their surroundings! This is going to be our first trip to the United States of America! I can’t believe I’m going to be in the middle of Silicon Valley in a few days! In twenty minutes, Manchester United is coming to Anfield and I think Liverpool will comprehensively beat them 4-0. 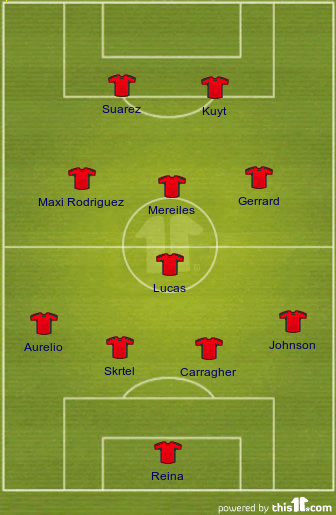 This is what happened 20 years ago when Manchester United came to Liverpool and Kenny Dalglish was the Manager. I think Peter Beardsley had a hat trick on that day. PS: Andy Carroll is on the bench. I feel he’ll come during the second half and score that 4th goal.